Dhampus Australian Camp Trek is perfect Trek around pokhara valley. It is easy 2 night 3 days Amazing Hiking tour which starts from Dhampus drive two hour from Pokhara. 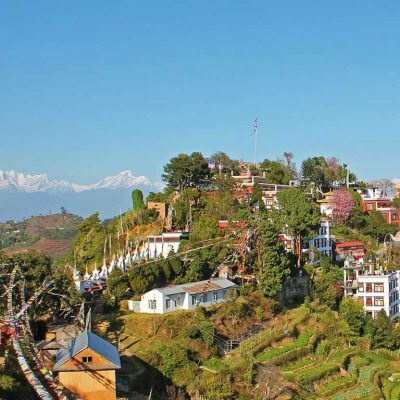 The village of Dhampus on the Annapurna trail is blessed with grand views of the Annapurna range. Dhampus is beautiful village a number of slate roofed house. paved country yard Buddhist monastery. The trek remain ideal for those wishing to experience Nepal mountain scenery and ethnic culture within a short time. After Dhampus village 1 hour Trekking to Australian Camp. The camp is center of Dhampus Jungle. There are few comfortable lodges. 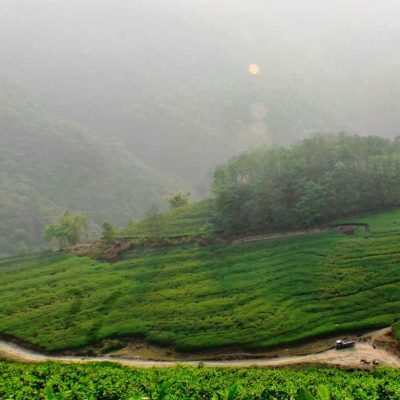 From Australian Camp provide great Jungle scenery and similar views as Poonhill like Annapurna South, Fishtial, Mt Dhaulagiri,Tukuche peak,Dhampus Peak,Nilgiri and Himchuli. From Australian Camp we will hike to Naudanda ( Nine hill) stop for Lunch and continue hike to Sarangkot. Sarangkot trek offer you spectacular mountain scenery ( Mt Dhaulagri, Annapurna , Machhapuchre, Nilgiri, Lamjung hima etc. and enchanting view of Pokhara valley. and Pokhara lake. Specially in the night time you can see beautiful lighting Pokhara valley view. Kathmandu to Pokhara by Bus or by Plane. Pokhara to Trekking Australian Camp. Trek to Sarangkot from Australian Camp. Pokhara to Kathmandu by Bus or by Plane. Departure to Airport and Fly Back to Home. Arrival in Kathmandu.Arrive in Kathmandu International Airport and meet with our airport representative at the airport and transfer to Hotel by private van. Stay Overnight at Hotel Heritage Home (Thamel). Take a ride from Kathmandu to Pokhara 820m (6 hours) and transfer to Hotel. Morning, our van will come to pick up you at your hotel in Kathmandu. And transfer to Pokhara. You will see the river view and Nepalese life along the way. We will stop for lunch on the way. Arrive Pokhara at 3 pm. Check in Hotel in Pokhara. You might be interested in visiting Barahi Temple with boating for an hour. We will stay in Hotel in Lake Side Area in Pokhara (Hotel Golden Holiday). Morning wake up and have a breakfast. Then, we will take a van and drive to Phedi which takes about 45 minutes. We will start to steep climb up with stone staircases through the Rhododendron forest until reaching lower Dhampus which takes about 1 hour. Then, we will gently climb up again passing the terraced fields and small houses. We again keep climbing up through the rhododendron forest until reaching on the ridge which takes about 1 hour. We can see very spectacular Annapurna Range and Machhapuchhre (Fishtail). Then, we trek on the plain or road trail until reaching our Hotel which takes about 30 minutes. 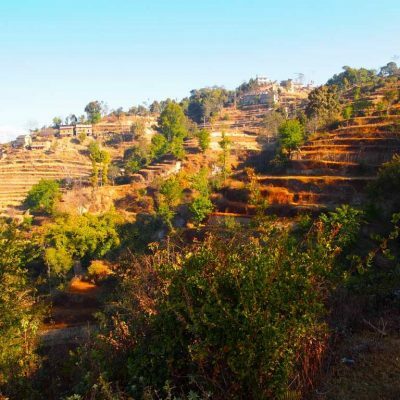 Sarangkot to Pokhara (4 hours)It is a hiking through picturesque hill villages to the popular view point at Sarangkot .The terrace farms , the villages and above all the spectacular panoramic view from Sarangkot is simply unforgettable. We hike back to Pokhara the same day. You will have free time in the afternoon. Take a ride from Pokhara to Kathmandu (6 hours) and transfer to Hotel.Morning, our van will come to pick up you at your hotel in Pokhara. And transfer to Kathmandu. Arrive Kathmandu at 3 pm. Check in Hotel in Kathmandu. Free time until your departure time. Pick up and drop to airport. 2 Night Hotel accommodations in Katmandu. As your requirement Hotel category. Your stander meal during the trek. Food in city like Katmandu.